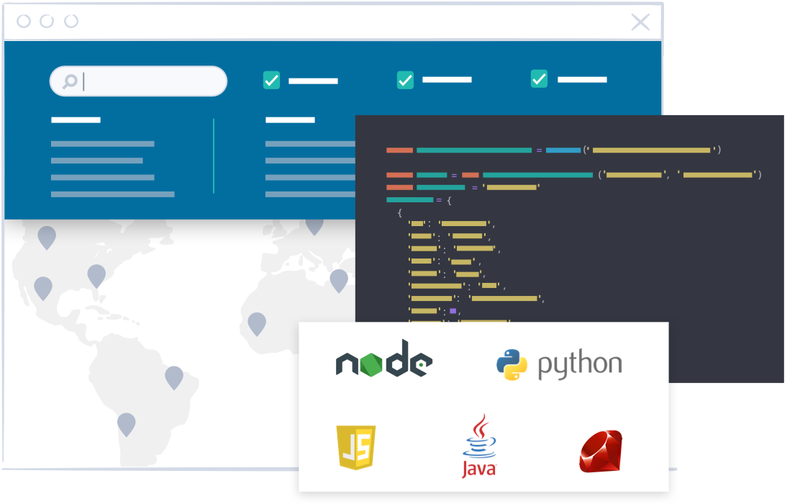 With Swiftype App Search you get access to a set of robust APIs and unprecedented relevance controls to deliver amazing search experiences, all backed by the Elastic Stack. App Search lets you set up an engine and index content in just a few minutes, thanks to robust cloud platform and dynamic, schemaless indexing. Use the intuitive App Search dashboard to issue your first queries, and quickly implement search within your application with one of the numerous available API clients. App Search harnesses the power of Elasticsearch for best-in-class relevance right out-of-the-gate. Not only does App Search include typo-tolerance, stemming, bigram and phrase matching, but it also offers search customization features such as Curations, Weights, Boosts and Synonyms for you to fine-tune relevance based on your business objectives in conjunction with data available via App Search’s Analytics platform. App Search is an API-first experience: index documents, search and filter, track clickthroughs, manage search customizations or engines, and more. Choose from a vast set of API clients, and implement search and management touch points programmatically, while allowing content editors, business users and other non-technical stakeholders to tweak and augment your search experience via an intuitive dashboard. Powerful, intuitive APIs for indexing content, managing your search engine, and searching — all adaptable to the unique needs of your application. The core of App Search is powered by Elasticsearch, so your app inherits the powerful — and constantly improving — foundational features that make Elasticsearch the industry leading search technology. Analytics based on how users interact with your search engine are automatically tracked in real-time, revealing unique insights into user behavior, and helping you fine-tune your search engine. 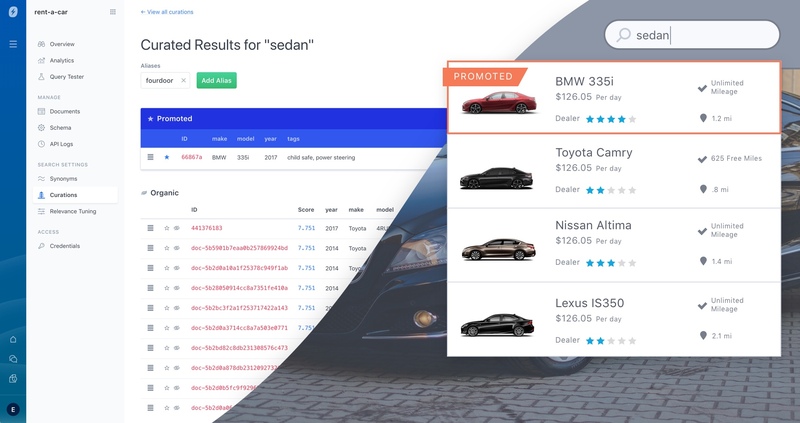 The App Search Dashboard makes relevance tuning as simple as point-and-click: make customizations in the web-based interface and preview their impact in real-time. All without writing code. 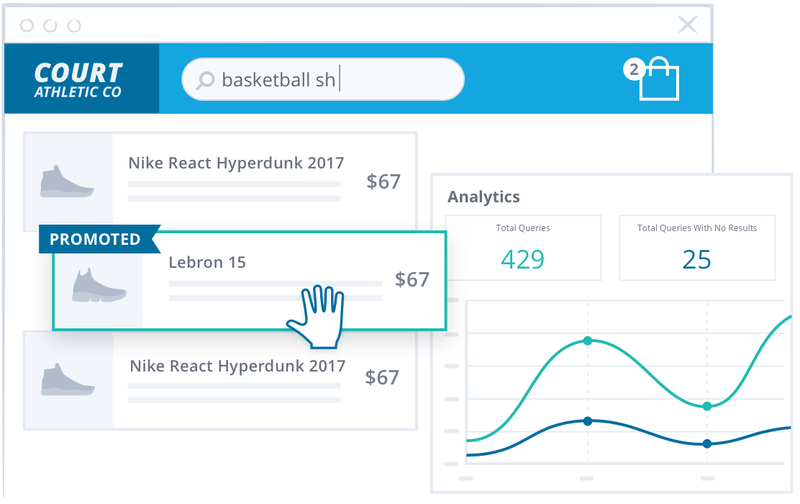 The App Search platform supports dynamic schemas and real-time reindexing — simply send JSON to the API and we’ll make sure it gets analyzed appropriately for whatever search application you build.